The new Aston Martin Vantage takes a great car to new heights. There’s an impressive new Aston Martin Vantage available to order with deliveries beginning by next summer. The new car is following in some very big footsteps and Aston Martin have created a worthy successor. Along with new headlights and taillights, the new Vantage has unmistakable road presence and boosted aerodynamic performance. This extends to the interior, where the sports car cockpit features sharp lines and a lower driving position plus lots more space for occupants in the cabin. The engine for the Aston Martin Vantage is a new 4.0 litre twin turbocharged V8 that develops 510 PS at 6,000 rpm and torque of 685 Nm. That’s a lot of power from the alloy creation. For those who want to enjoy speed, then its 0 to 62 mph time is just 3.5 seconds and the maximum speed is 195 mph. It helps that to control all of this power and keep the car on the road, there’s a slew of integrated electronic systems that include dynamic torque vectoring and stability control. Engineers have also tweaked the power steering so there’s intuitive control that is responsive and precise. However, the Aston Martin Vantage is the first of the firm’s vehicles to feature an electronic rear differential and it’s connected to the electronic stability control system to help understand how the car is behaving and it will then react accordingly. It will direct the engine’s immense power to the relevant wheel when necessary and, in just a few milliseconds, can go from fully open to 100% locked. Indeed, at higher speeds, the electronic differential will take control of the Vantage’s dynamic behaviour so it feels more composed in corners and for the straight-line stability. Part of the stability comes from the new chassis which is the latest generation of bonded aluminium, which we first saw in the DB 11, and it offers strength and rigidity. As potential owners should be expecting, the cabin is an impressive place to spend time and there’s a lot of standard equipment including parking assist and distance display, keyless start and tyre pressure monitoring. There’s also an impressive in-car entertainment system along with Bluetooth audio and phone streaming and satnav. 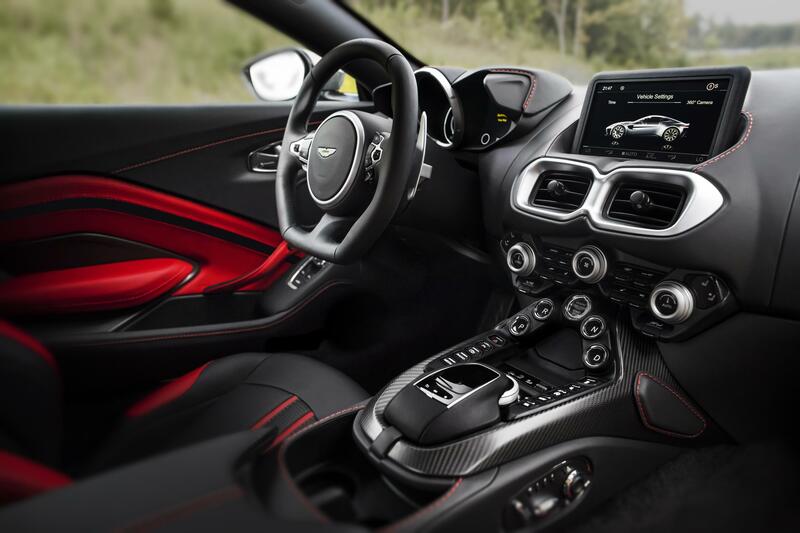 The new Aston Martin Vantage also features a higher level of craftsmanship and premium materials in the cabin to help deliver a quality and impressive vehicle that also has a long list of personalisation options to create a unique offering. 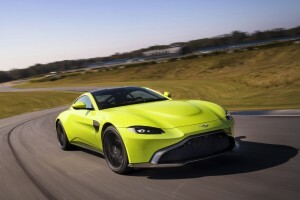 This entry was posted in Car Leasing, Cars, Performance Car, Sports Car and tagged aston martin vantage by Steve Lumley. Bookmark the permalink.